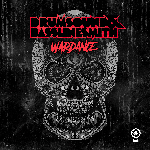 Hype and Pascal present the single from Drumsound & Bassline Smith. The Derbyshire DJ/producers who head up Technique Recordingss have been making tunes that have had an impact on the scene for over 15 years now. With their solid reputation as architects of big room style, first track ‘Cobra’ does not disappoint; it is a beast who is unrelenting, dark and fierce all at once. Testify is raw and bouncy, a fast-paced tune with driving beats and bleeps guaranteed to rip up the club floors.